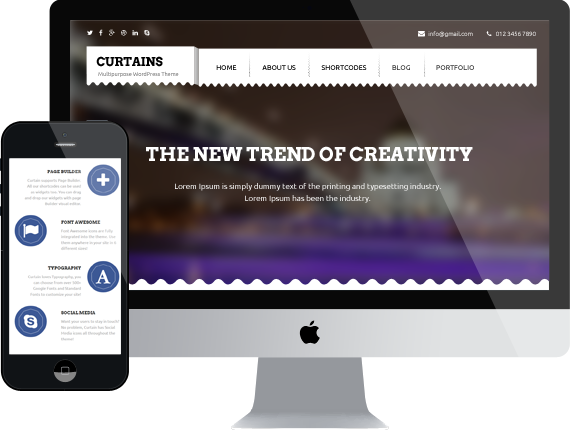 The Curtains Creative Multipurpose WordPress Theme has awesome design for each of designer ideas. It is designed for corporate and business websites, shops, blogs, own portfolio purpose and much more. The theme has responsive design build on 1170px Grid. Curtains theme easy to customize, template include all necessary or right development.